To save on postage costs this year, I'm trying to keep my Christmas cards simple enough to fit in a normal envelope. As you can imagine, mailing back to the States is very expensive. I've also decided to not buy any more Christmas papers or embellishments this year; I want to make do with what I have, which, when I got to looking at my stash, is quite a lot. This card is made with a topper and papers courtesy of one of my card making magazines (now, if I could only remember which one?). 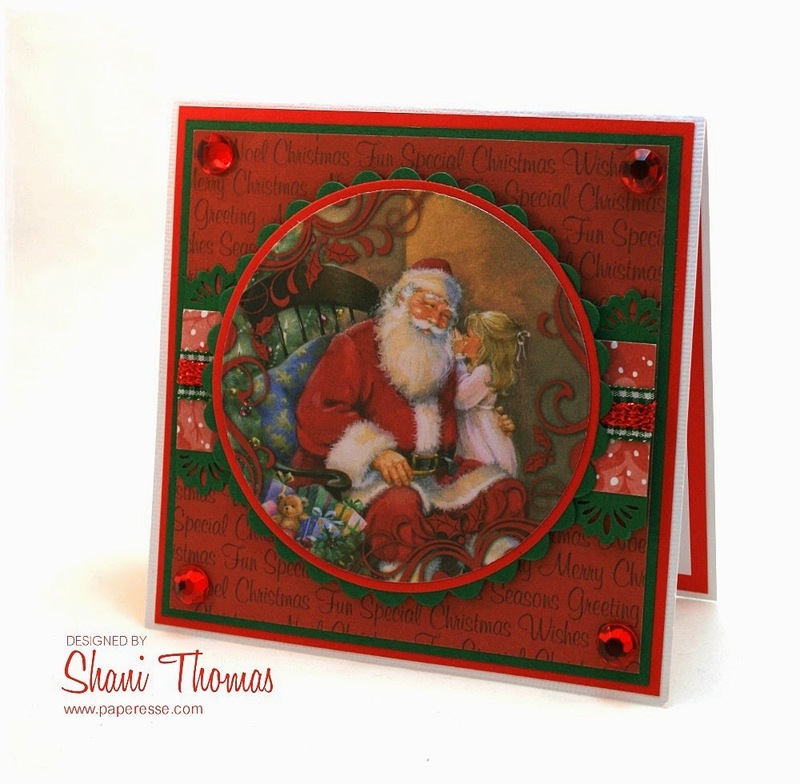 I'm linking up today with Sister Act Card Challenge #85. Love the rich, Christmas colors and bit of bling. Très jolie ta carte Shani!!! Très belle image du Pére Noël!